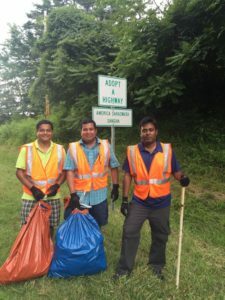 Members’s from AMSAS joined community service program to clean litters from West Ten Road on July 1st. After doing pranaam on lotus feet of Thakura initial Saraswata Madhuri meeting was chaired by Biswajit Bhai. Here are the discussion points. Review process internal & India setup. Coordinate with authors for final review. To manage table of contents effectively.